Singer/Rapper Skales made headlines following his well publicized exit from the Banky W-led EME and supposed signing with Timaya’s Dem Mama Records but new reports states that while the former is completely true, the later is a complete sham. FYI, Skales’ three-year contract with EME ended in January. According to sources, the label chose not to renew the contract because it had failed to make returns on its original investment. Urban culture blog PopOffCentral reported the rumours of a deal between between Skales and Dem Mama Records yesterday. Sources close to Skales also told NET that although the rapper is in talks with Timaya, he has another record label offer and is currently weighing his options. ‘He has two deals on the table as we speak, he’s weighing both deals to see which pays him‘, a source tells NET. Skales however says the news is completely false, explaining that the media has taken his friendship with Timaya out of context. ‘It’s not true. I’m not signed with Timaya or Dem Mama Records. I’m just doing my thing. 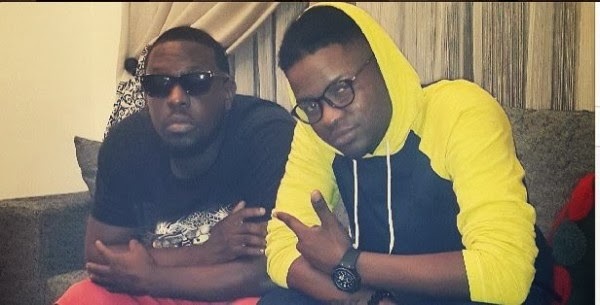 Timaya is my friend and that’s what it is’, Skales told NET over the telephone. Meanwhile, reports that Skales currently resides in Timaya’s home in Lekki Phase 1, Lagos has also been denied by the rapper. ‘I go to Timaya’s crib because he’s got a studio and we just vibe. I’ve got a studio too and he comes over. It’s all love around here’, Skales explained.